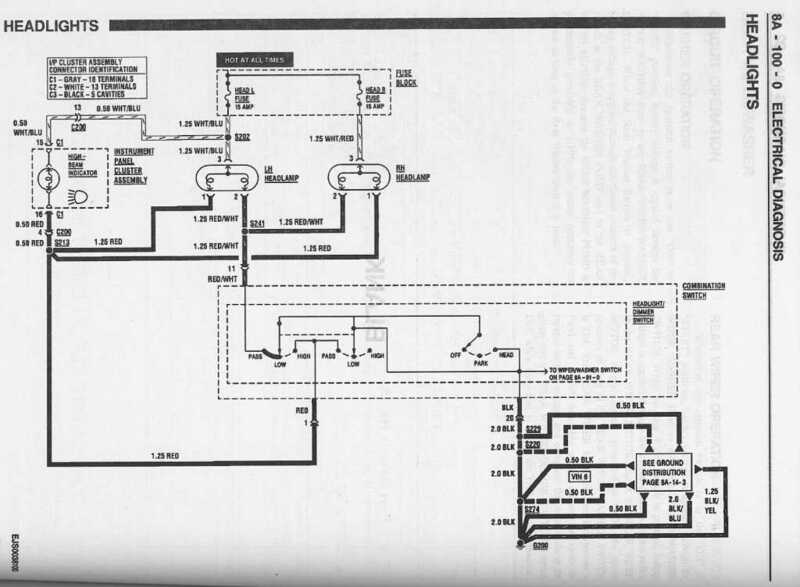 My Basic Schematics page, what you need to make engine RUN and some extras, for safe running! 100% USA (North America centric drawings.) Other countries can be different !. 1989-90 ONLY: G16A TBI 8V USA some times called SINGLE POINT Injection. Generation 1 ; 8 valves. 1.6L TBI , Throttle body Injection. 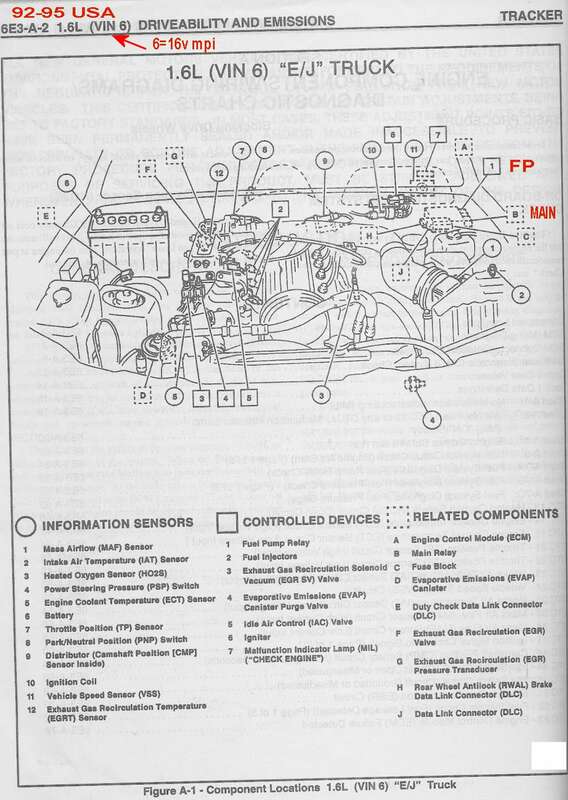 EFI , Electronic Fuel Injection only. 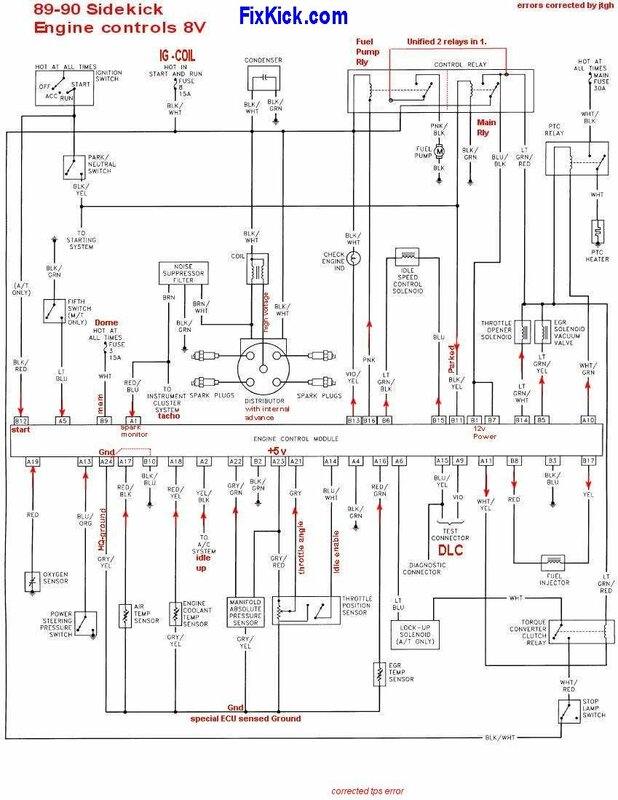 The ECU does not create or generate spark in any way shape for from, this car, the Distributor creates all spark all by itself. 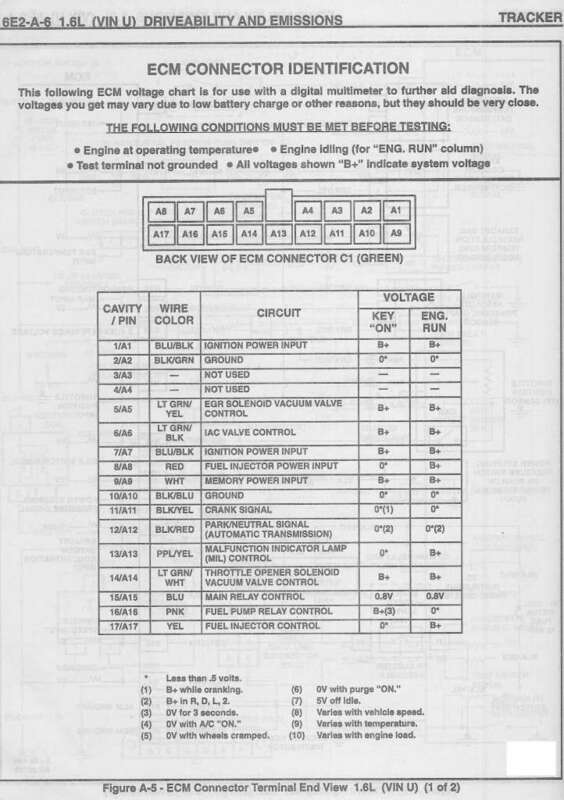 A/T opted cars , have TB base heating device called a PTC. This generation has no water heat pipes to the ISC. 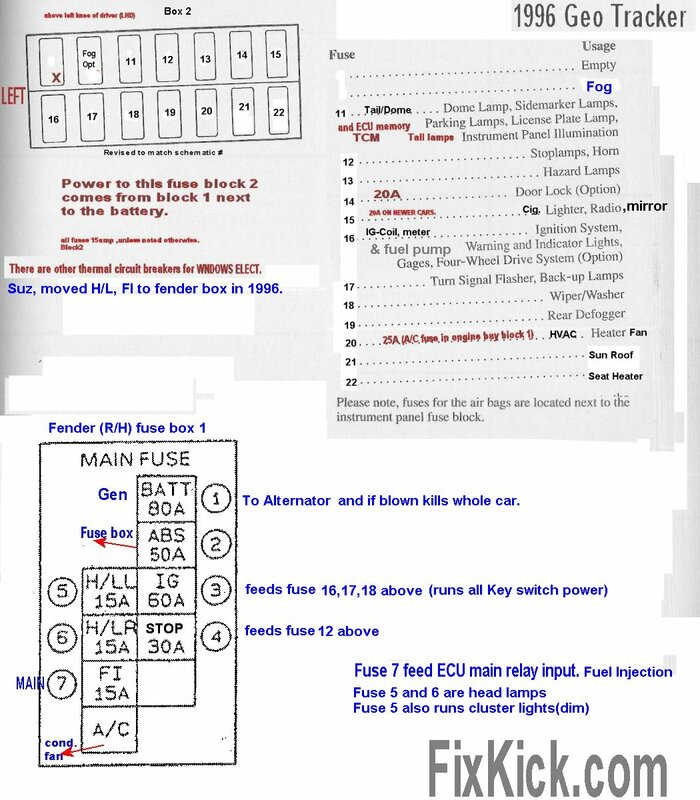 more... fuse panel details at end of this page. 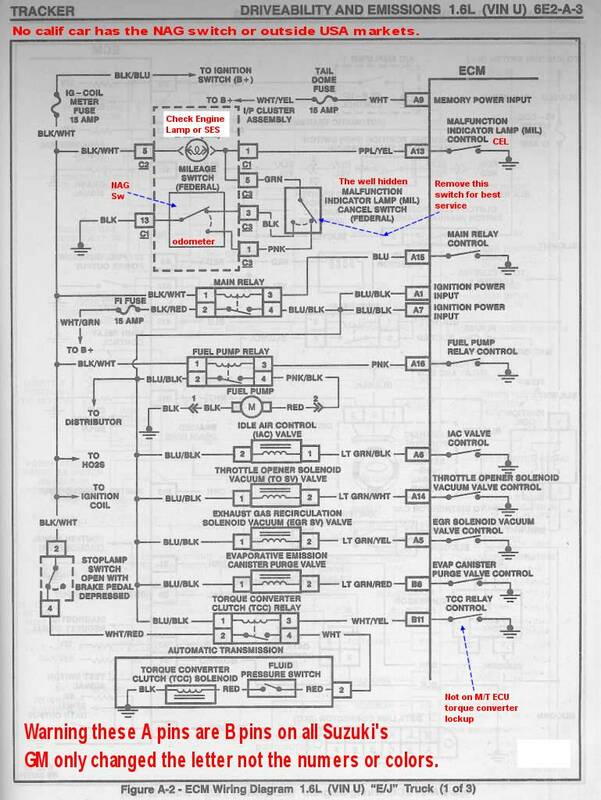 Generation-2, began here in 1991 through 1995 USA , Vin U is Geo code for 8valve car. TBI 1.6L G16A 8 Valve ONLY motors , single injector engines: EFI, with water heated ISC. 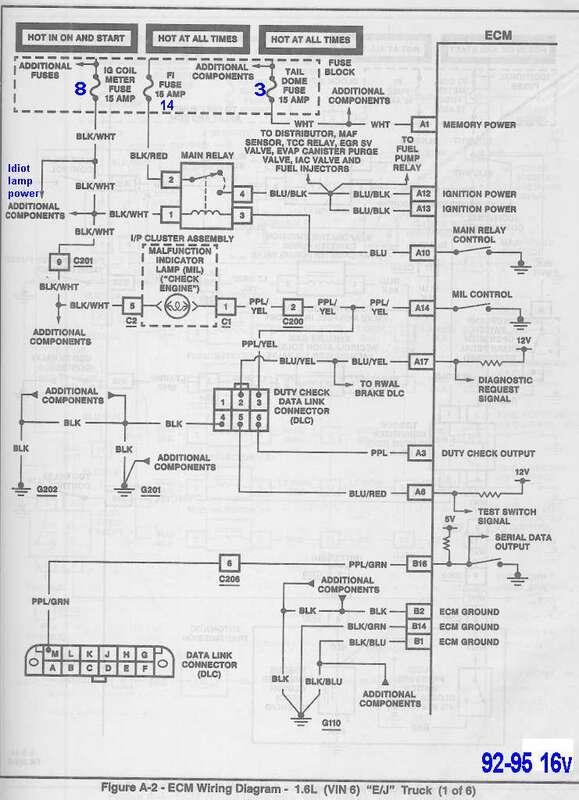 1991 8-Valve only TBI Full schematic set. A Total set ! 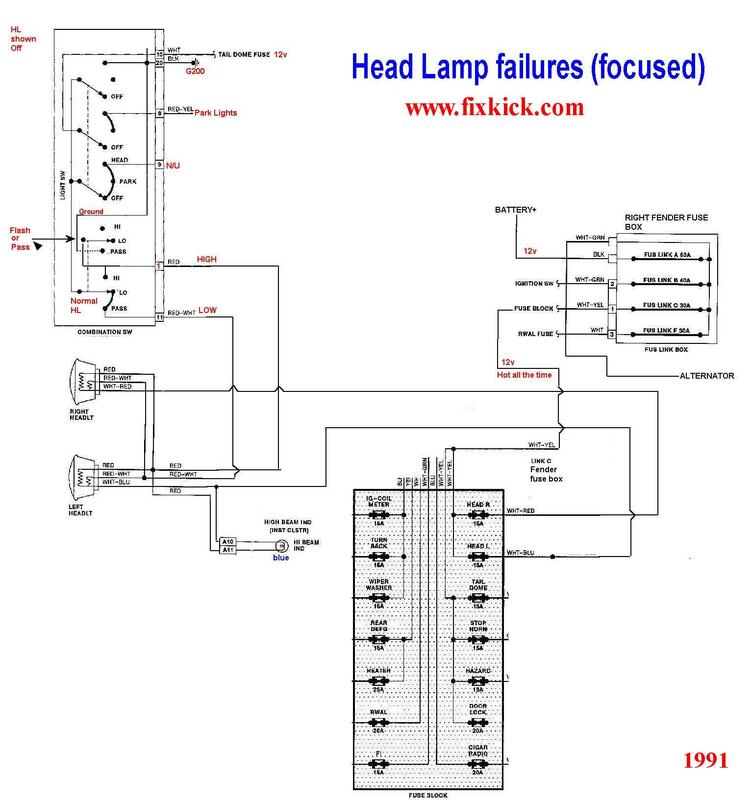 The 1991 unified Head light schematic, I made. 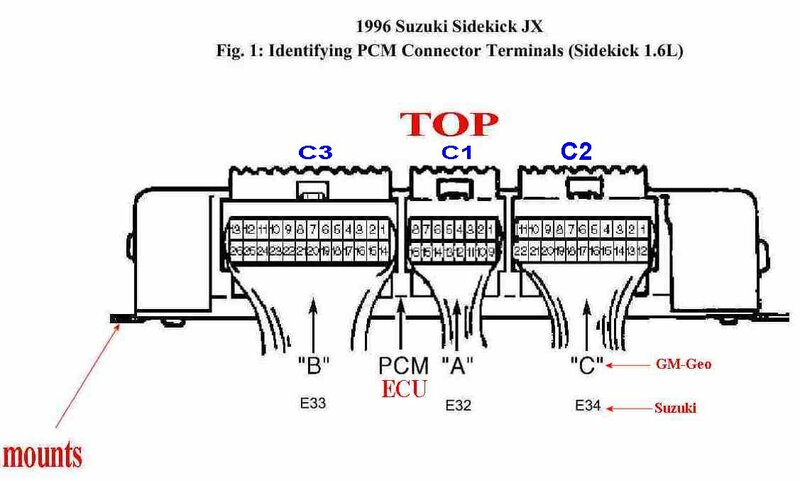 The GeoTracker calls 8v (only) ECU A pins the B pins, and Suzuki the opposite LETTER, so rename them to suit. A1 = B1, etc. as needed. 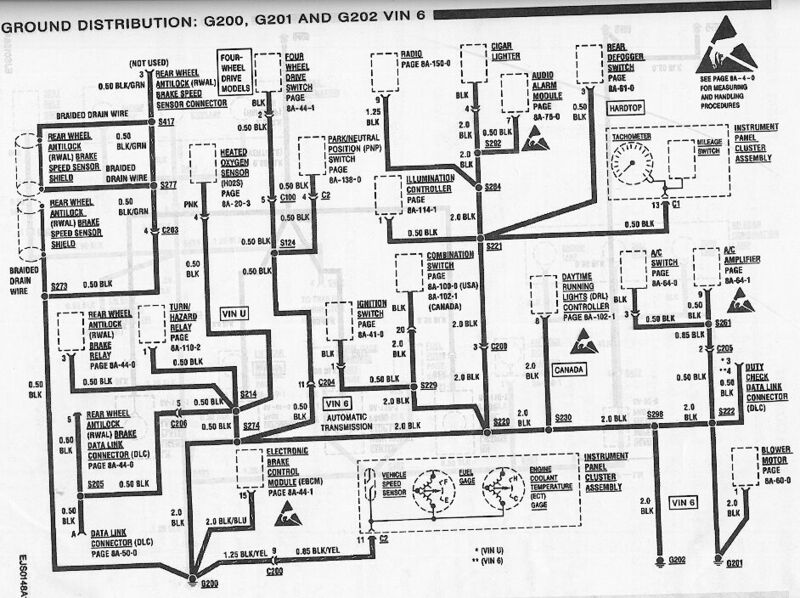 92-95 Power distribution both motors 8v/ 16v a full set . 92-95 Dash cluster Gauges , 8v/16v. 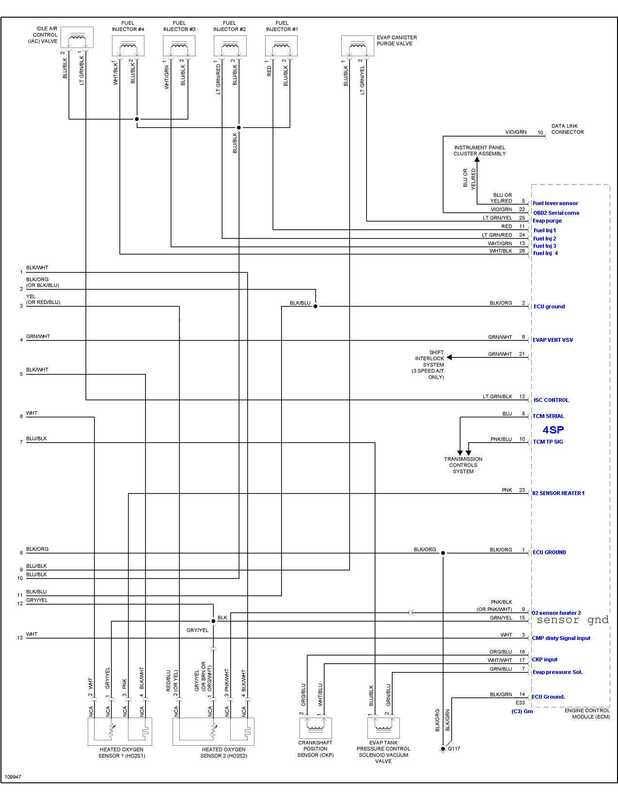 I/P cluster. Normal Headlights or HL , non DRL DRL = Daylight Running Lights. Headlights, DRL only. 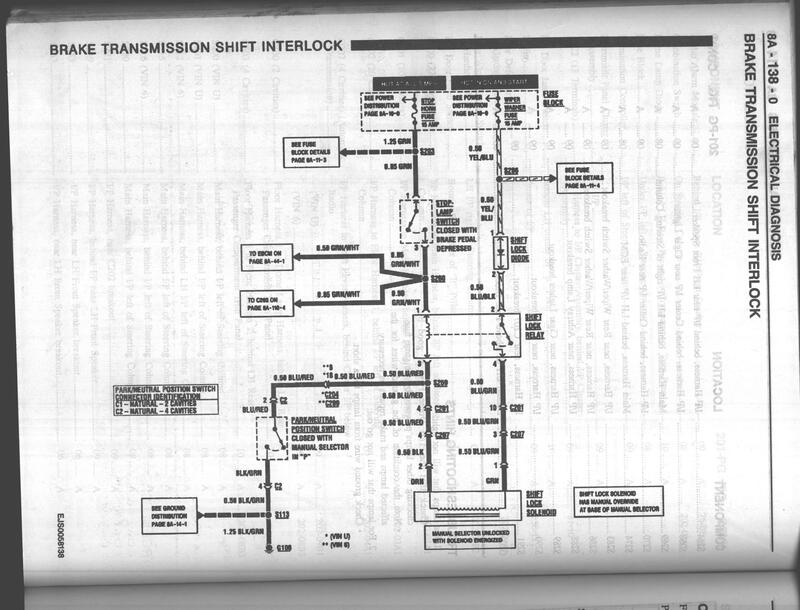 "Daylight running lights"
Shift Park lock out circuit. 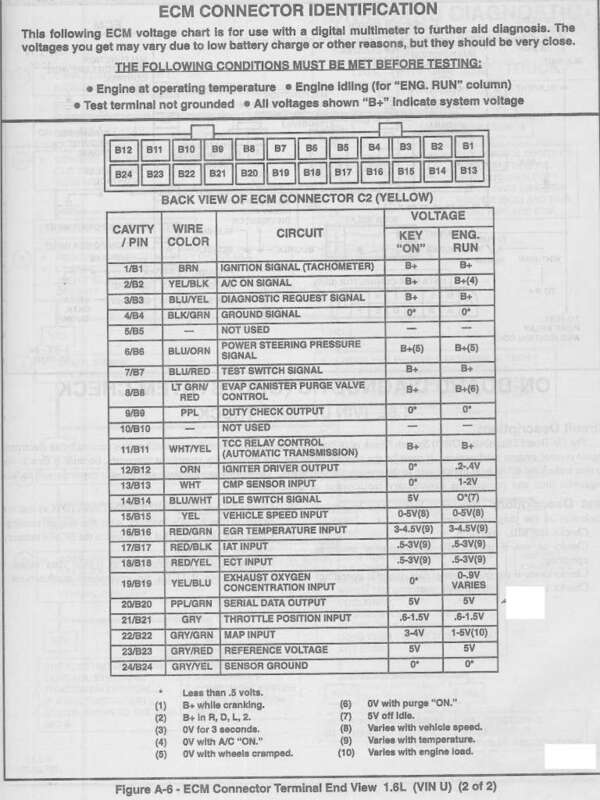 A vary Rare 95 factory alarm book , no schematics. 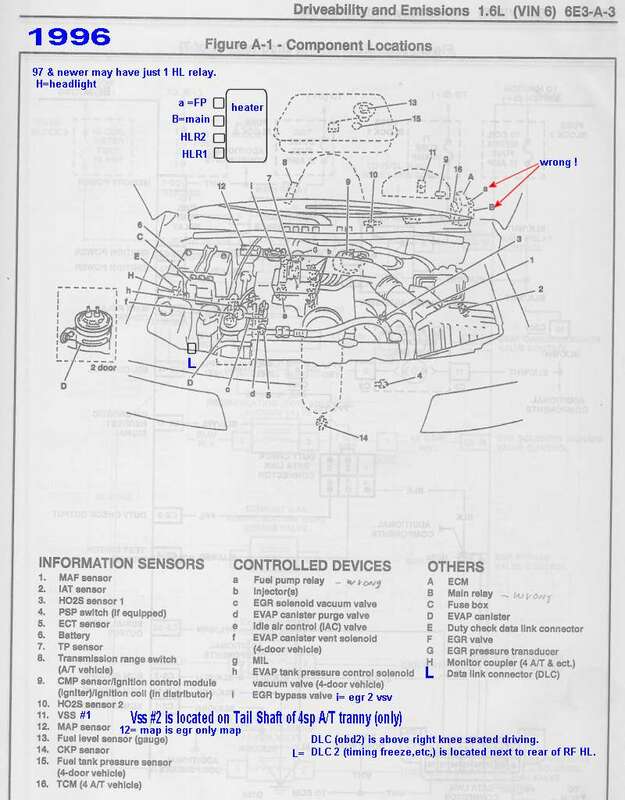 Engine bay Component locations VIN 6 MPI , critical to motor running. 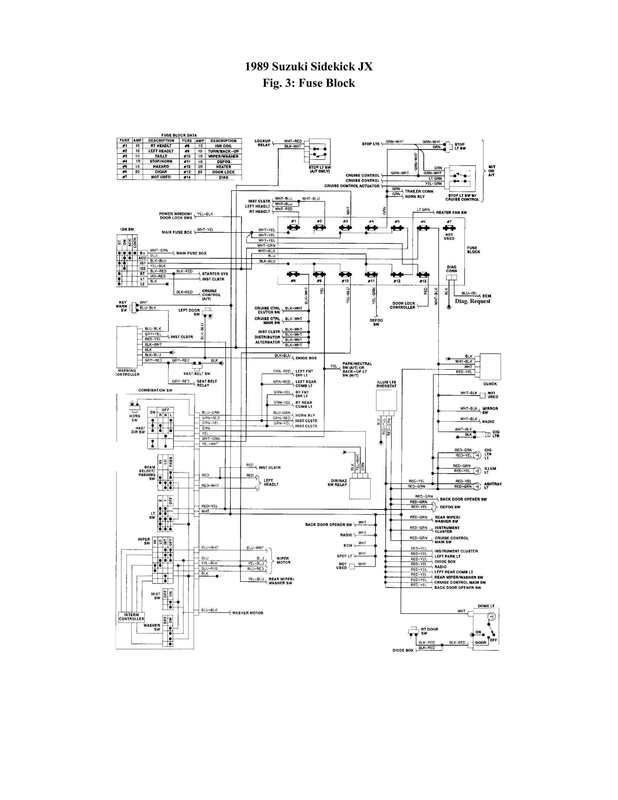 92-95 ECU power , CEL lamp and diagnostic pin schematic details. 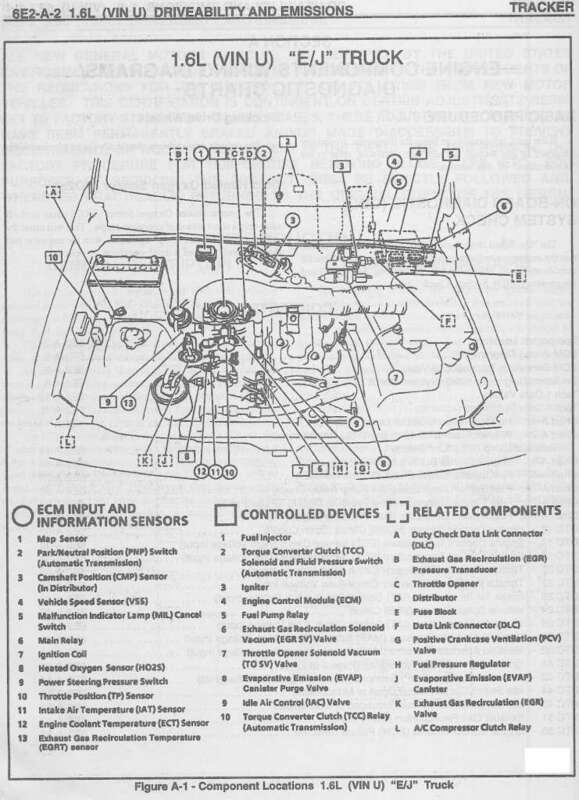 91-95 The DASH Relay and other electric module finder , including ECU and other controllers. "DRL" modification's (HACKS) or repairs. 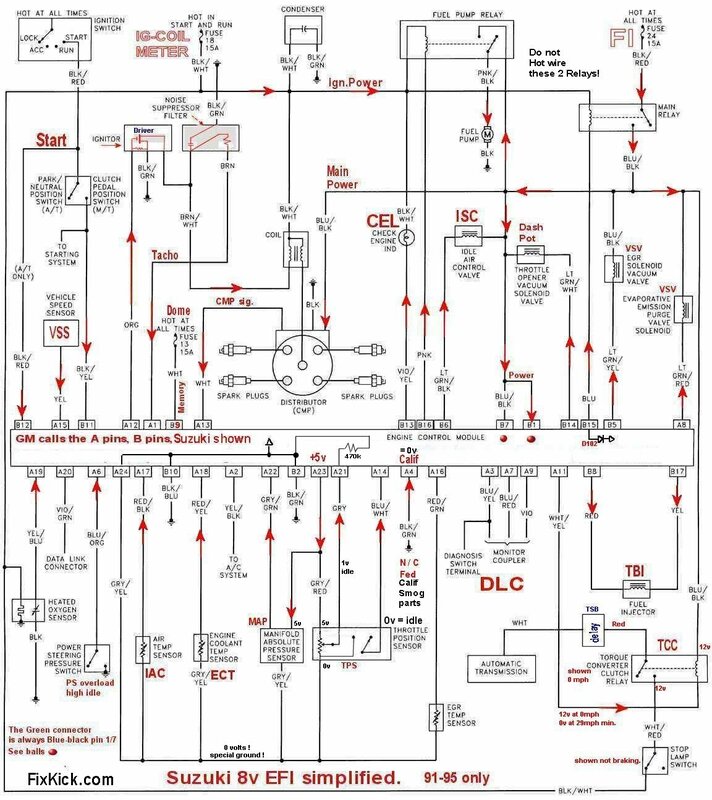 I do not recommend defeating any safety equipment or DRL systems, here are the facts on most GM cars. Sidekick Trackers, are all 16 valve now. (USA) EPA reg.'s. FIRST YEAR FOR OBD2 ! In USA. 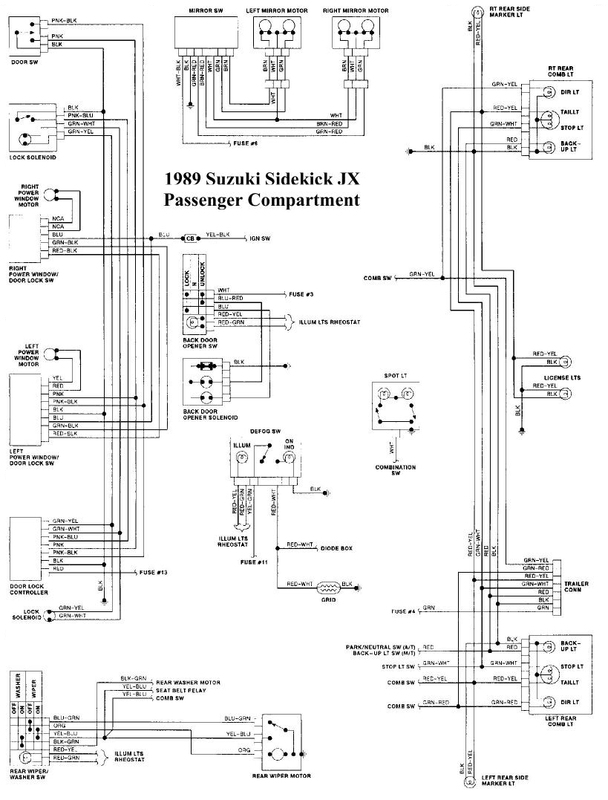 In 1997 (and 98) Suzuki moved the TCM into the PCM/ECU and the connectors and pin counts and pinouts are different. (I don't have them) But alldata.com does. It's all here below every detail , even the connector "pin-outs". 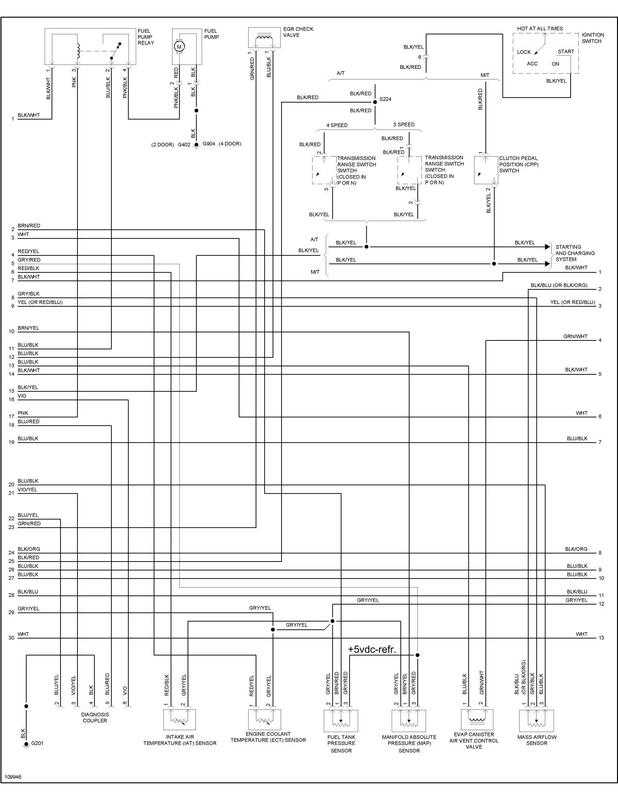 The full 1996 FSM(extensive) the real factory service manual , covers ALL. 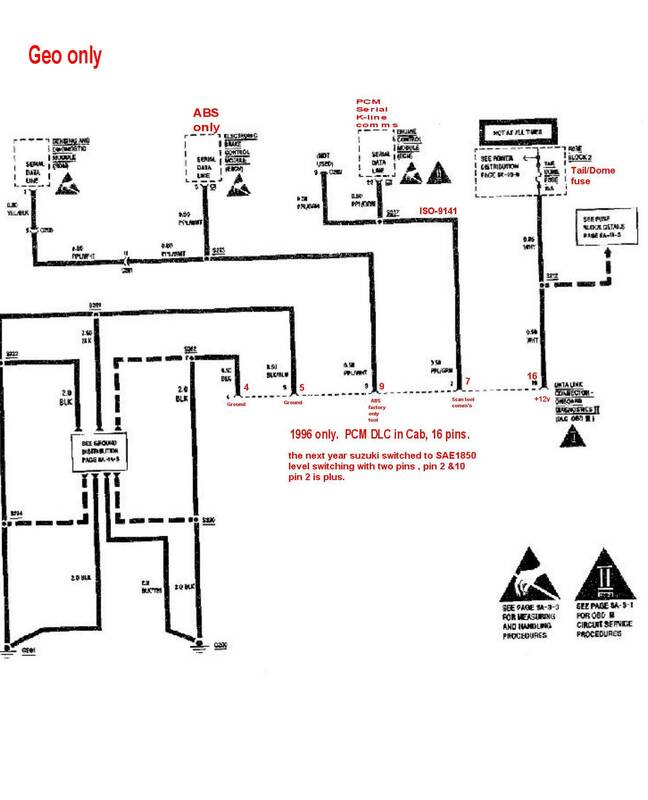 See power and ground wiring here and common faults , see link there for ground faults. 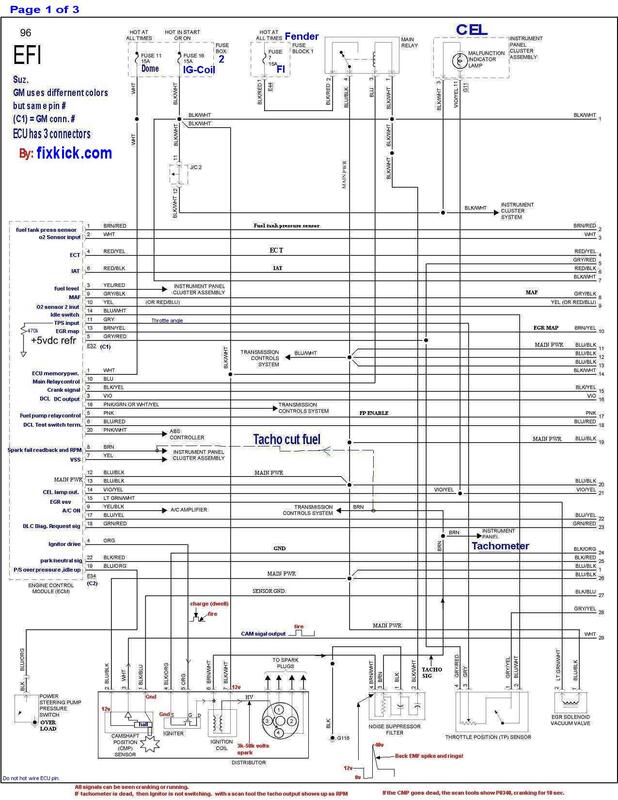 1996- 1998 DOHC 1.8 Liter SPORT (the wide frame car) SEE 1.8L differences page. MPI EFI , Coil over spark plugs (COPS) and chain driven DOHC (2 cams) and MAF now moved to the Throttle body guts. 1996/7 1.8L old COP ignition coils. These COP parts can not be mixed. 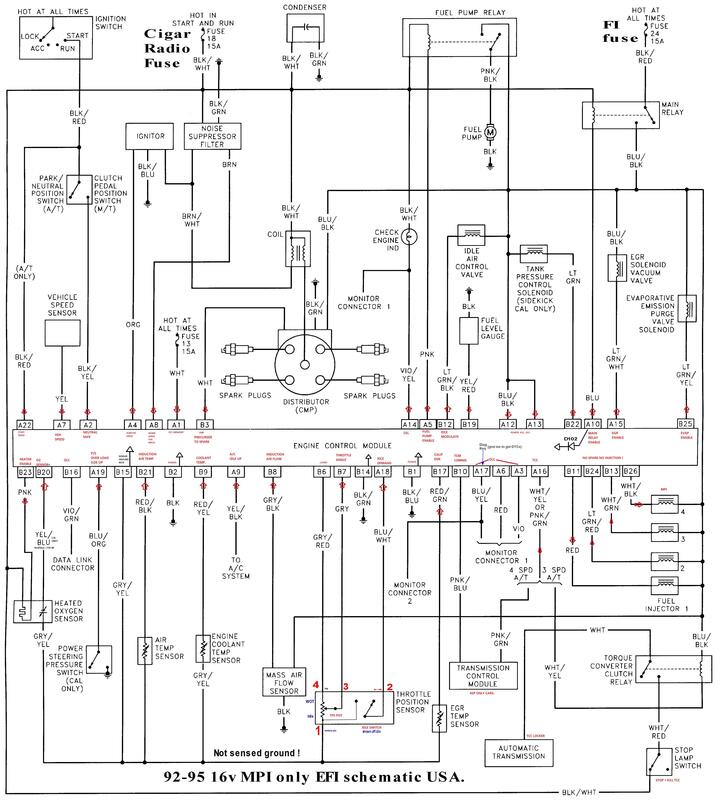 If you attempt to drive the 98 COP with a 97 igniter, you get 180degree inversion and the COPS burn to a crisp. Suzuki Sports are very rare cars, only 9000 sold the laster year, 1998 in the USA. Mitchell has the best data on this car, as does Alldata.com and books are near non existent. EFI -electronic fuel injection, MPI = Multipoint Fuel Injection, TBI= Throttle Body Fuel Injection.